NeatClip - Create Clips from any Livestream or Video! NeatClip lets you create clips from any YouTube Live Stream. Tip: Clipping works a lot better using our Chrome ExtensionFirefox Extension, including support for VODs and many more features! NeatClip is trusted by 120,000+ users and supports all livestreaming sites, including YouTube Live, Twitch and Mixer. Using the Chrome ExtensionFirefox Extension, click the NeatClip button in your browser bar. 2. We fetch the past. Using magic, we will turn back time and record everything that happened before you clicked the button. Share the awesome moment with your friends or the whole world! The simplest way to create clips, for free. The fastest livestream clipper on the web. Built with speed in mind, at all times. Less than 10 seconds from a request to receiving your clip. One-click clipping. Completely optional signup. No pop-unders or other invasive ads. We always fetch the highest available video quality of a livestream. Be it 2160p, 1440p, 1080p or 720p - we fetch it. Works with any livestreaming or video site. We support any livestreaming or video site that exists. If it's a video, we will clip it. Cut your clip to create the perfect 90 seconds clip to share with your friends or the entire Internet. Works on your mobile, too. 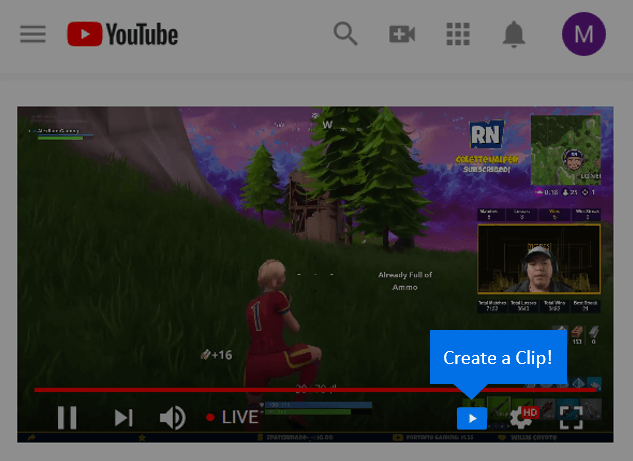 To create a clip on your mobile, go to neatclip.com and start clipping. Create clips while you browse the web, with just one click.